On this occasion our gamble that their would be a "Southwark" ride at Cutty Sark Gardens didn't pay off. The previous week 12 people had joined our ride to the Darrent Valley Path, but there were just two of us who met to do this ride. One person didn't attend because of sickness and another, who had signed up on Strava, did a later ride. There were quite a few runners and a group of walkers at the start point. Not to be outdone by colleagues from our neighbouring borough, who were doing a Southwark Heathy Ride to Shooter's Hill, we decided to start by cycling up Shooter's Hill. We were mindful of the fact that any one of the Southwark Healthy Riders might post their ride to Strava and we didn't want to be knocked off our leader boards. The Shooter's Hill route turned out to be a crow's fly route to Dartford and this saved us some time. 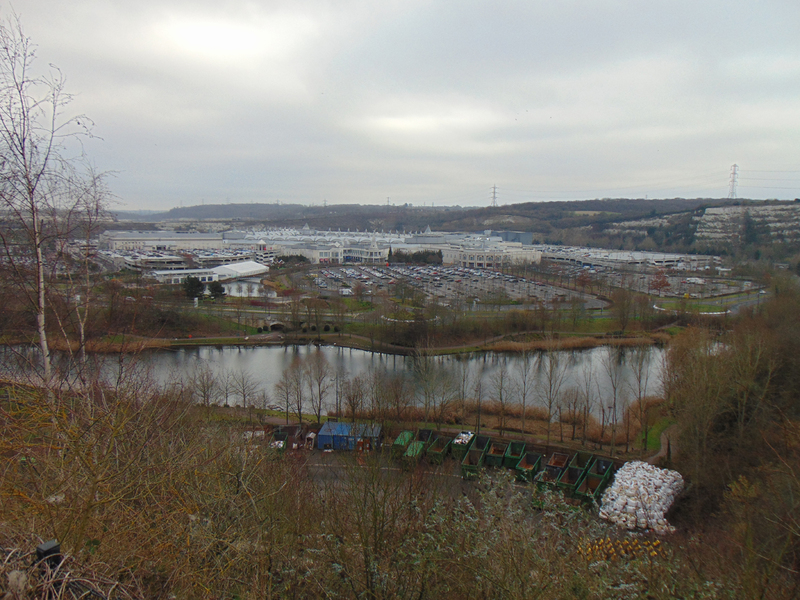 At Bluewater we descended into the clay pit and stopped briefly for a coffee. 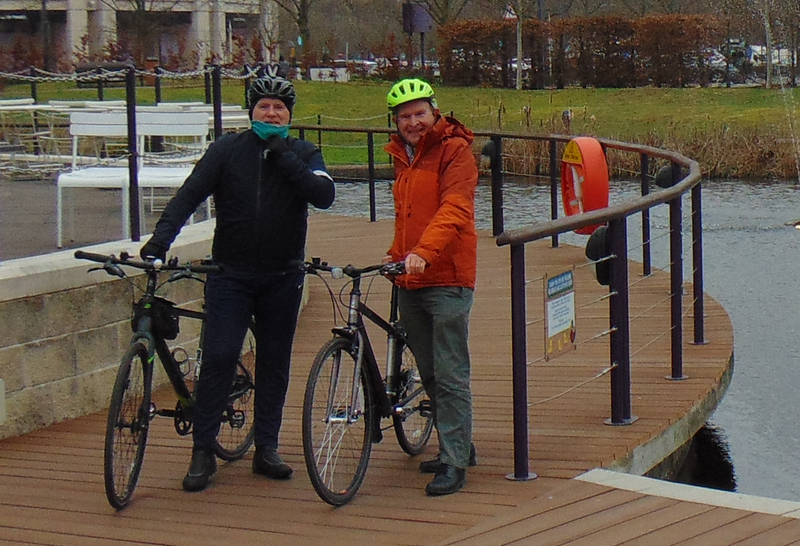 We cycled round the lake and then climbed up the emergency vehicle route to leave the pit and then took the Walting Street route back to Dartford. We then followed the Thames Path from Erith to Woolwich. We were looking out for the seal colony, but didn't see anything this time because it was high tide. Paul left at Woolwich so that he could use the foot tunnel to return to north London. The ferries were being tested, but were still not in operation. We were mindful that we might turn into pumpkins if we didn't get back to Cutty Sark Gardens by 1pm and this spurred us on to go faster on the return journey. But this was to no avail, and the ride didn't get back to Cutty Sark until 1.30pm, half an hour late.